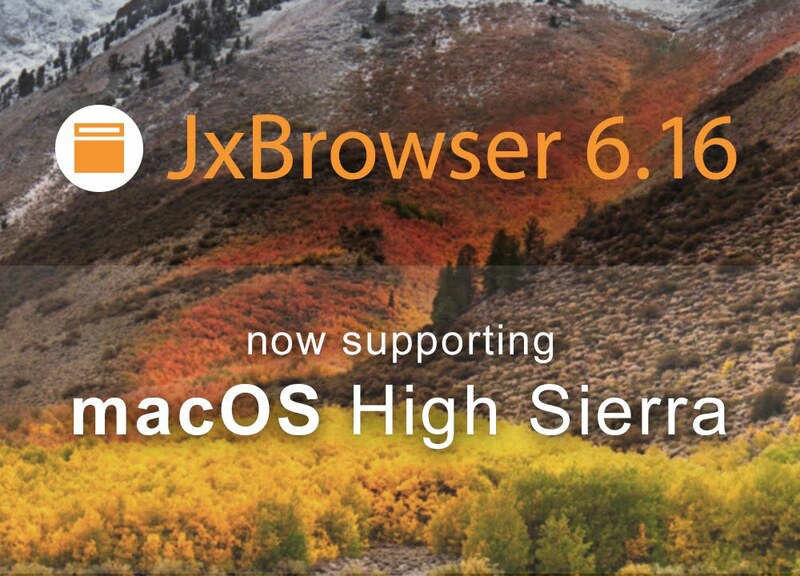 JxBrowser 6.16 is released and available for download. The updated library supports two new platforms: macOS 10.13 High Sierra and Ubuntu 17.04 Desktop. This version also features an extended DOM API, the ability to enable and disable form autofill suggestions, and a way to provide a custom HTTP status code. Have a look at the full list of new features with the usage instructions at the Release Notes page.